The number of people who injure themselves at home or at work trying to repair electrical appliances, or using electrical appliances incorrectly is worrying. Many people have suffered serious injuries or worse, but this needn’t be the case, as most accidents could have been avoided if a little common sense was applied. We’re all taught it in school, so why is it that so many accidents occur every year due to an often fatal combination of water and electricity? Also, make sure all electrical appliances at home are kept away from water. Appliances like hair dryers used in the bathroom are particularly pertinent examples. Old appliances – Watch out! Old appliances are one of the leading causes of electrical related accidents around the world, second only to accidents which occur when installing or repairing them. Whenever possible, buy appliances that have cords that can be taken off and are therefore easily replaced. Many kitchen appliances, like rice cookers and blenders, have cords like these, making them a great investment in many ways. Whether you’re trying to identify an electrical fault or you need to replace a plug on an appliance, be sure to call an electrician. It will cost you more, but it could save your life. That’s worth much more than a few quid in your pocket. The number of accidents which take place in homes and workplaces that could have been avoided had an electrician been called is a source of concern, so call an expert and stay safe. 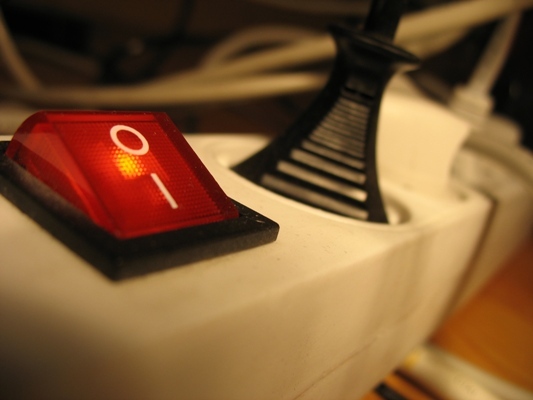 Have you ever wondered why the cords on your electrical appliances are prone to fraying? It could be because you’re storing your appliances incorrectly. It’s also a good idea to wait until appliances, like irons, cool down before putting them away, especially if you store them in a closed cupboard. The number of fires that have broken out as a result of hot appliances being put away too quickly is testament to the need to wait until they’ve cooled down before putting them away. If an appliance has passed its use by date, be sure to recycle it properly at an official recycling centre. If you’re leaving it out for collection – local councils often have a rubbish collection day to help residents get rid of the junk lying about their homes – make sure the cord is cut off so that no one else can use it. Take note of these tips to stay safe at home and work.